Full-time RV living: Can you deduct travel expenses on your taxes? Home » Individual Income Tax » Full-time RV living: Can I deduct travel expenses on my taxes? Most of you proudly identify yourself as a full-time RVer or digital nomad because you’re living your dream. You are lucky enough to travel full-time while working remotely from the road. Does this mean you can take all your costs as a travel expense? Remember, you don’t live in a sticks-and-bricks home with a typical 9-5 lifestyle like the general population. Instead, you have the freedom to roam and be in any state you want at any time. For some of you, this expands work freedom and your RV travels the country following job opportunities. In the “normal” lifestyle, you might be able to claim these business travel expenses as deductions on your taxes. However, since your lifestyle isn’t normal, your taxes and travel deductions don’t qualify as normal either. Who wants to be normal anyway, right?!?! Can you deduct travel expenses? Let’s dive deeper into this important question. 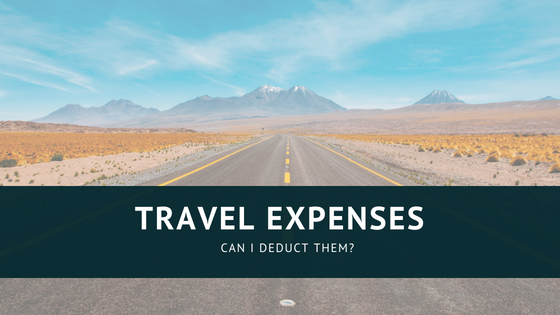 Can I deduct travel expenses? The answer is complicated and depends on each RVers particular situation. Here’s why. It’s all because of this nomadic lifestyle that the IRS officially calls us transient workers or itinerants. There might be a chance to deduct your mileage. Depending on facts and circumstances, you may be able to deduct some travel expenses. This depends on your tax home. Your tax home isn’t the place you live. It’s the place you work. For us living and working from our RVs, we have to take extra steps and keep track of our current tax home. Due to changing travel plans and situations, our tax home may change as often as daily, weekly or monthly. The IRS gives us starting points to determine your tax home based on meeting a certain number of factors. If you don’t have a regular or main place of business or work, use the following three factors to help determine where your tax home is. Taxpayer performs some work in the vicinity of his/her main home and use that home for lodging while doing business there. Taxpayer incurs duplicate living expenses while on business travel. Taxpayer has not abandoned the area in which your historical place of lodging and main residence are located; taxpayer has family members currently residing at this main residence or frequently uses this main residence for lodging. By satisfying two factors, there is a possible tax home to be determined by facts and circumstances. However, if you only satisfy one of the three factors, you cannot deduct travel expenses because your tax home is wherever you are currently working. Most of the time, the only factor you’ll satisfy traveling around the country working from your RV. is factor 1. When you only satisfy this factor, travel expenses are not deductible. However, when there’s a situation causing you to duplicate your living expenses when you’re away for a business trip. Say, for example, you need to fly somewhere to attend a conference or meet with a client for work. You leave your RV parked at a campground for this travel. While you are away you stay in a hotel or other lodging. In this case, you are duplicating living expenses and satisfy factor 2. The second factor you’ll be satisfying is Factor 3. When you went away from your main home (your RV) for that business trip, you didn’t abandon your main home as you intend to return to it after your trip and continue traveling. Also, you often use your main home (your RV) for lodging. Therefore, when you travel on business trips like the example above, you should satisfy two factors, Factor 2 (duplicating your living expenses) and Factor 3 (not abandoning your main home, the RV), and be able to deduct those specific travel expenses. To get a better understanding of how we may apply these factors in different situations, here are two examples. John is currently in Montana for the summer. However, John has agreed to meet with a client in the client’s office across the country in Florida in October. He’ll be driving his RV to Florida to meet with the client and then continue to stay there for the winter months. In this case, John CANNOT deduct his travel expenses. Look back at the three factors, John only satisfies Factor 1. He will not be duplicating expenses for this trip nor will he be abandoning his main home (the RV) at any time. Since John’s situation only satisfies one factor, he is considered a transient and cannot deduct these travel expenses. John is currently in Montana for the summer. John has signed a contract with a client based in Florida. They want him in the office for the initial kick-off. Otherwise, he can work from home wherever that may be. This time John decides to fly to Florida for this meeting and stay in a hotel for the 3 days of kick-off. This time around, John satisfies two factors, 2 and 3. He will be duplicating living expenses as he leaves his home back in Montana (Factor 2) and he will not be considered as abandoning his home because he will return there once business is finished (Factor 3). Therefore, John’s tax home remains in Montana as he travels to Florida on the business trip and he can deduct the travel related expenses for this trip. Since your tax home might change daily, weekly or monthly, it’s important to keep a detailed record of any travel. When you’re always on the road, it’s important to keep track of travel expenses. Here are 2 suggestions for keeping track of your travel expenses. Keep an up-to-date travel log using dates, locations, and reason for travel. Many of you might already keep track of places you stay for costs, etc., so this would simply be adding a few extra details. It’s very important to keep records of any business related expenses. Especially, if you are deducting travel expenses because you are duplicating living costs. 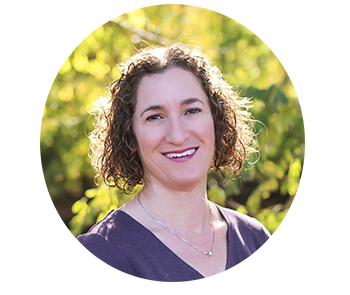 You need to prove with detailed records that you are duplicating expenses from where your home is (RV=home) vs. where you are on your business trip. QuickBooks has a phone application allowing you to attach pictures of receipts with expenses. This saves you from keeping stacks of receipts. You can also record mileage in this app. Mile IQ has a phone application to make tracking and recording mileage easier. Keep a spreadsheet with miles traveled, location, job related, etc. You can use Google Drive, so the data is backed up and accessible from your phone for ease of entering the data. Either use a smartphone for photos of receipts or get a portable scanner to keep everything digital. Then you won’t have stacks of paper in your small home. Every full-time RVer has a different situation. Consult your tax professional with your unique situation to get more clarity on your specific travel deductions. What are you travel tips for keeping track of expenses for business deductions? we transitioned from renting a condo to living in an RV full time. We were able to deduct a portion of our rent as home office use. Is it possible to deduct a percentage of campground fees and a thousand trails membership as business office rent? You can only claim a home office deduction if you have a dedicated space for a home office. That is the IRS rules. Because an RV is such a small space I rarely see a case where a home office can be claimed. Maybe if you have a toy hauler or bunkhouse used as dedicated office space. Otherwise, the home office deduction (which is where you’d take home expenses) is not allowed.